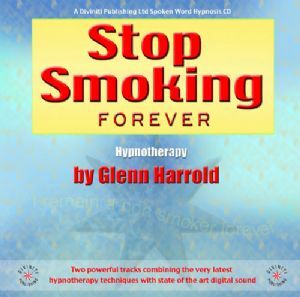 Stop smoking forever with this superb high quality hypnosis CD by Glenn Harrold. Hypnotherapy is uniquely effective in programming the mind to overcome the addiction to cigarettes and nicotine in a safe and natural way, free of any harmful side effects. When you listen to this quit smoking hypnotherapy CD title your mind will very quickly get used to the idea that you don't smoke, and as the title says, you will free yourself from the smoking habit and remain a non smoker forever. This hypnosis CD also includes positive suggestions and affirmations to prevent you from putting on weight or substituting any other negative patterns of behaviour in place of the smoking habit you leave in the past. In fact when you stop smoking you will feel ever more determined to keep fit and remain healthy.